Colton and I moved into our first house in May of this year shortly before our wedding. 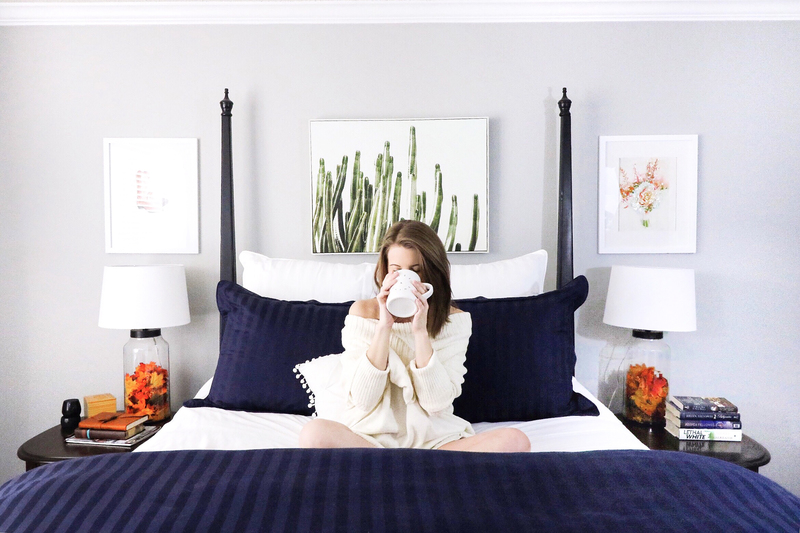 After painting the entire house, renovating the kitchen, and moving in, we’ve slowly started to furnish and decorate our new home. We finally replaced almost all of the starter furniture that was passed down to us from our families and now we’ve turned our attention to decorating the walls. Choosing art and wall decorations is much harder than we thought it would be! 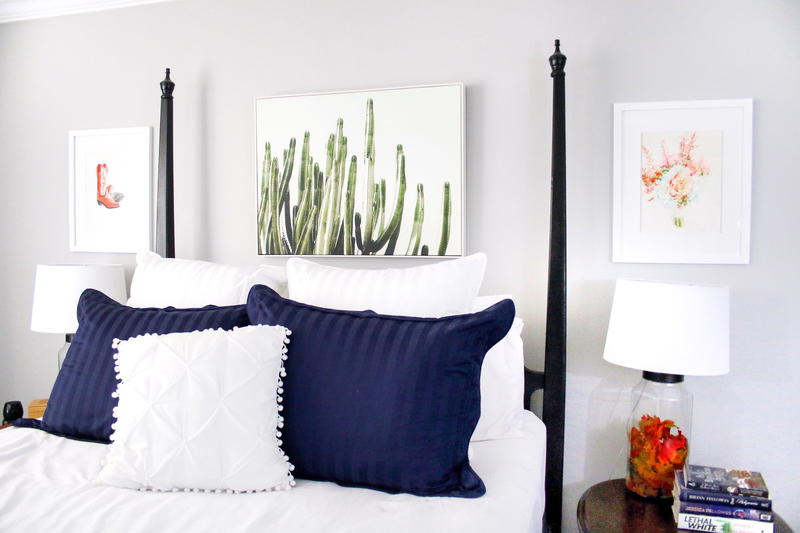 Art is an easy way to give a room life, show off your personal style, and serve as a conversation starter with guests. It can also be a graphically beautiful way of sharing memories. 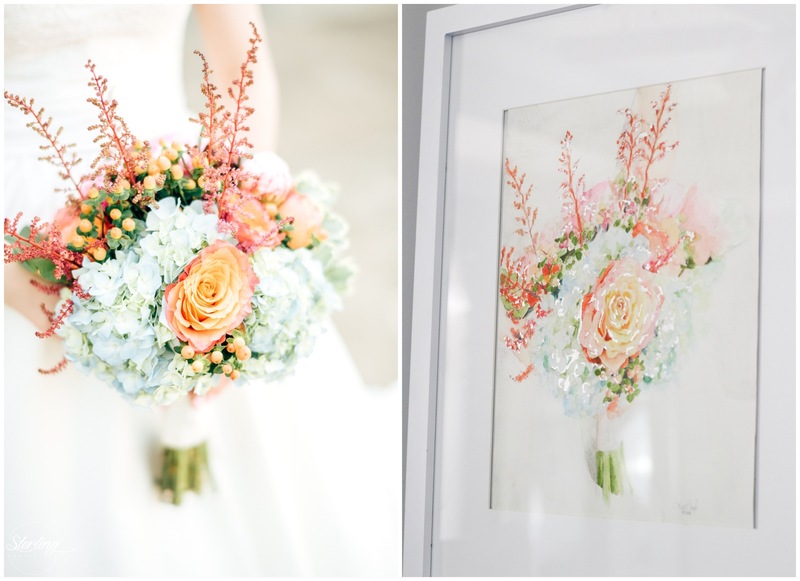 When Kellie Witze of The Classy Artist approached me about creating a custom painting, I didn’t have to think long about what I wanted her to paint; my wedding bouquet immediately came to mind. My wedding bouquet surprised me in more ways than one. By the time my wedding day came, I was so stressed out that I sort of forgot what my bouquet would look like. I was also surprised by how much the bouquet would mean to me after the day had passed. I’ve always been a sentimentalist, but I had no idea that I would become so attached to the mix of peonies, free spirit roses, astilbe, hypericum berries, and hydrangeas I carried down the aisle. 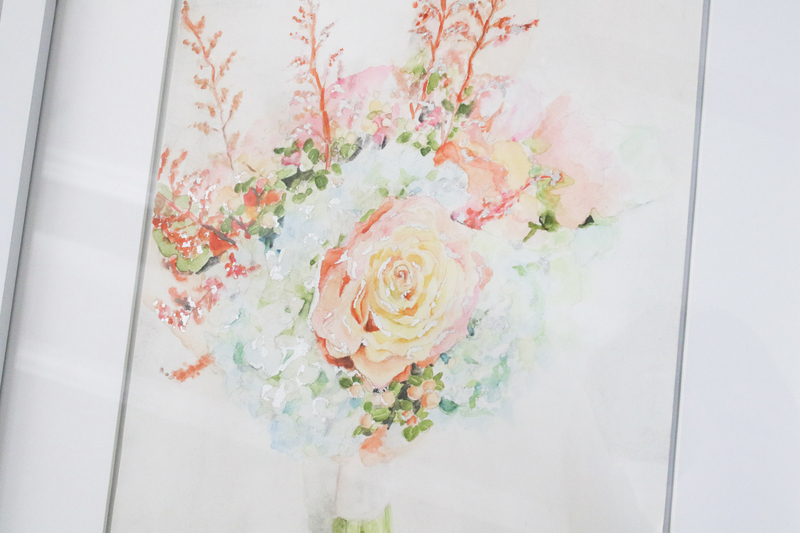 Kellie went to work and created a beautiful, hand-painted watercolor painting of my special bridal bouquet. 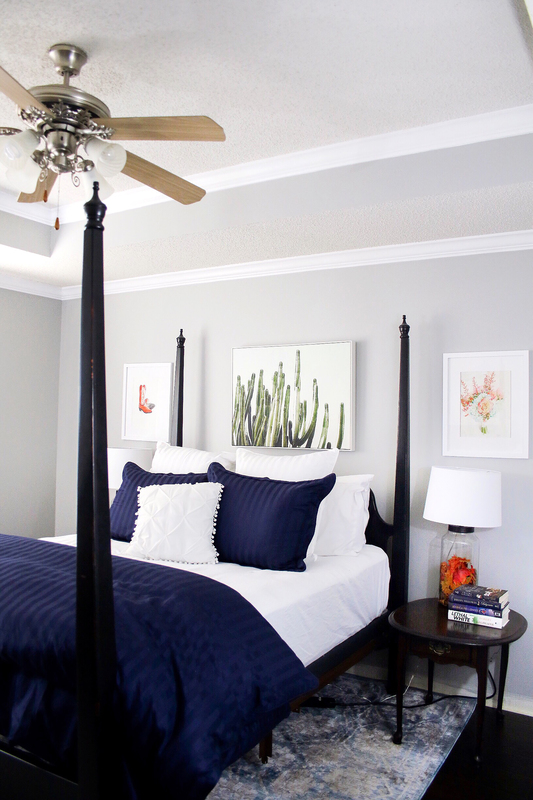 The blend of bright and pastel colors are highlighted by shining silver accents that bring the painting to life. I’m so happy to bless our new home with Kellie’s work! Her unique, creative style shines through in each individual painting she creates. 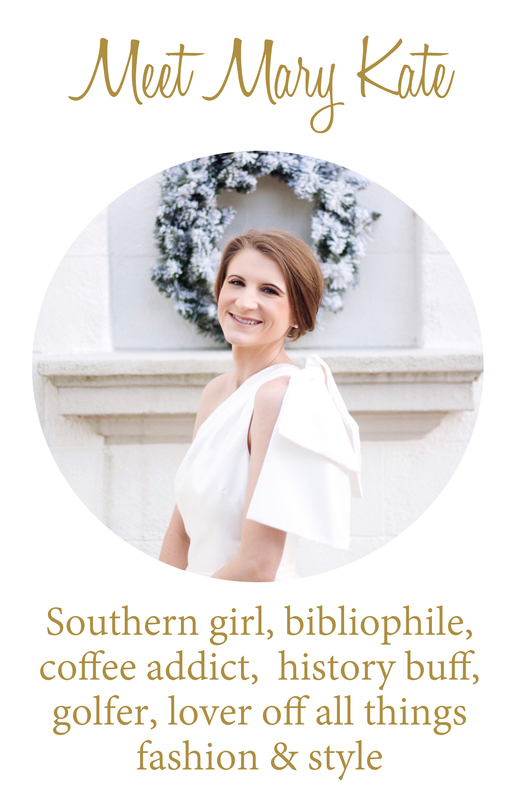 I’ve followed Kellie’s blog for a long time and I’ve always loved reading about her sweet family and seeing her lovely art. I highly recommend Kellie for special, one-of-a-kind commissioned art pieces. She perfectly captured a beautiful memory that I will always cherish. Her paintings are beautifully done and personally made. 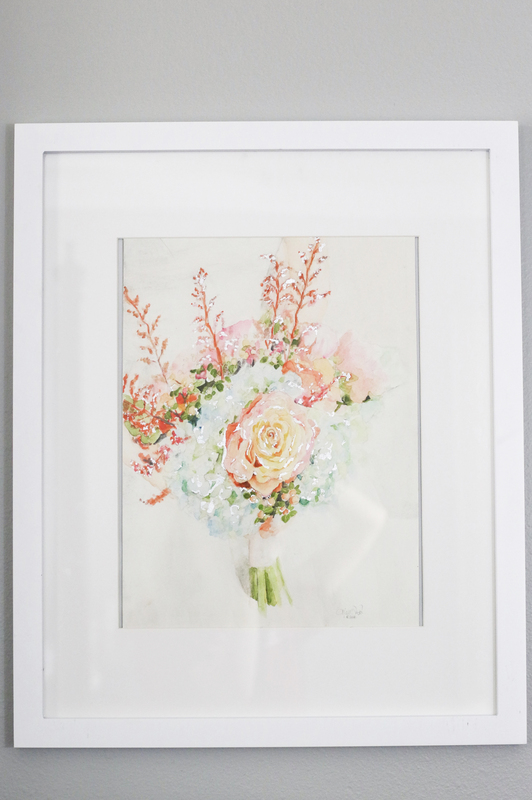 Shop Kellie’s current collection of art on her website The Classy Artist and order your own custom bridal bouquet painting here. She even has gift certificates available for Christmas! A commissioned art piece makes for a very unique and personal gift for someone in your life who is hard to buy for! And don’t forget to use the code BDAY for 20% off your art purchase with free shipping until December 19! This is such a great idea! I’ll have to remember this for one day!